When he first approached me about joining FLVS, I was not only excited that he could possibly join our faculty, but thought of all of the world experiences he would bring into the lives of our students. 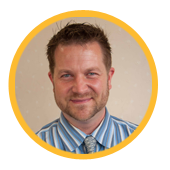 Focused on helping each and every student achieve their very best in his classroom, Kevin believes that all students can be successful and reach their highest potential. Teachers at FLVS deliver a high quality, technology-based education that provides the skills and knowledge students need for success. Instructors work one-on-one with their students ensuring their success weekly in the virtual classroom setting. Communication is a very strong component in the job the instructors perform, in that, weekly calls/texts/emails to parents and students keep success in learning in the forefront. Instructors here have a proven track record of success in their careers and joining FLVS elevates their skill set to include working with students in the online environment. Is it a challenge? Yes, and we love every moment of it! I am honored to share with you my interview with Kevin Kessler. My original path was to become a psychologist. However, my wife became a teacher and she would come home each night telling me stories about how much her students were struggling both academically and personally. With my Bachelors in Psychology already completed, I was able to identify some of the needs these children had and realized that becoming a teacher would provide me the opportunity to reach these children in just the right time to help them most. I wanted to be a guiding support and positive influence during the most crucial time of their life and that purpose has been met tenfold each and every year. Explain what brought you to FLVS. I had worked for an alternative school for teens who had been expelled or dropped out; however, the school was not organized and was not providing what the students needed most. As I learned more about FLVS, I came to realize that FLVS is a well-run, fully functional, and properly supported alternative to students who succeed in an alternative setting. Students are allowed to move at their own pace and receive their instruction in a way that accommodates their needs – whether it be time of day, amount of time needed for mastery, number of times to listen to lessons, or the ability to ask as many questions as needed for mastery. FLVS truly meets the student where they need the most help. Being a science teacher, the expected answer is Albert Einstein; however, Nikola Tesla was the most inspiring scientist to me because he desired to give people his inventions for free. He had no interest in making millions of dollars from his invention of alternating current, which is used in every home around the world. He continued inventing even after his successful inventions were stolen. He was ridiculed and abused by his peers, yet he continued working independently for the benefit of the people. 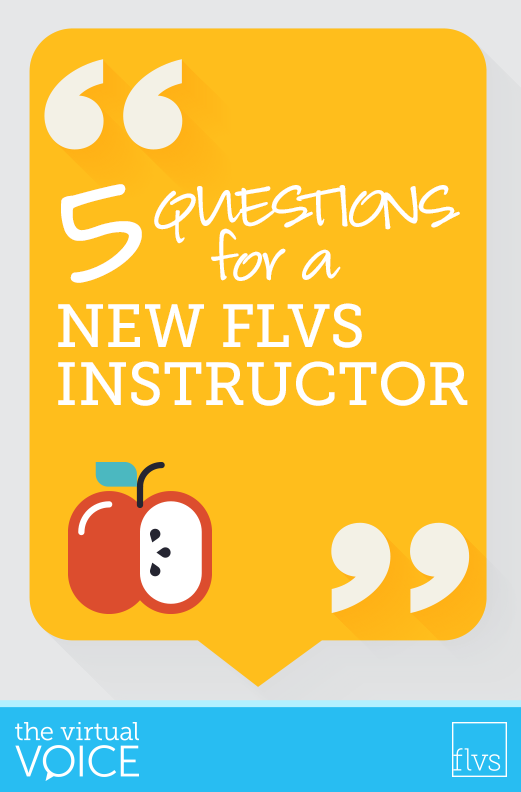 What do you look forward to as you experience your first year of teaching with FLVS? In my first year of working with FLVS, I have already come to realize that I am now capable of giving very personalized and individual attention to each student. Never before have I had the time to respond to each and every assignment with words of encouragement, corrections, or assistance. I’ve already gotten tremendous feedback from both students and parents expressing that they had been “looked over” or even ignored in the traditional school and not gotten what they needed. They can already see that this program is exactly what they needed the entire time and that feels amazing! How do you like to relax after a long day of supporting FLVS students? My three passions are travel, photography, and food! Luckily the three of those go together well and I have already made plans to take three trips this year since I am capable of working anywhere that has reliable internet. So, my relaxation is integrated into my job! My first trip is to San Antonio where I plan on leaving my hotel room each and every day to explore the Alamo, the historic structures, the museums, and the famous Riverwalk. Working for FLVS has truly opened me up to a healthier, happier, and more effective life where I can truly cater to the needs of my students and live a better quality life at the same time! This entry was posted in Educator Edition, Full Time Edition, Homeschool Edition, Parent Edition, Student Edition and tagged #TeamFLVS, Careers, Careers at FLVS, Education, FLVS Full Time, FLVS Instruction, FLVS Staff, HR, Jobs at FLVS, Meet a Teacher, Meet FLVS Staff, Meet Your Teacher, Online instruction, Staff Interviews, Teach Online, Teaching Careers, Teaching Online, Virtual instruction, Working at FLVS on September 19, 2016 by Dr. Jeanne Giardino. Hi, everyone who gets to be in his class is so lucky! My favorite subject is science, but I was unable to figure out a problem, so I did not pass. Good Luck! What I mean is, I was stuck on the A.C.C.E.L.L. test and did not pass that. Morgan, I wish I had you in my class this year!!! I hope you were able to find someone who could support you! And, remember, just because you did not pass the first time…that doesn’t mean you will never pass it! Every single one of us learn at a different pace. If you gave me a History or Art test…I would not pass the first time…or the second time…perhaps not even on the third time. But, I would never give up, keep trying, and identify how I learn best and what I need to do to master it. The same may be true for you & Science.